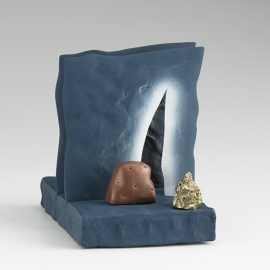 Ron Nagle is known for his small-scale objects, which usually measure no more than between four and eight inches high. 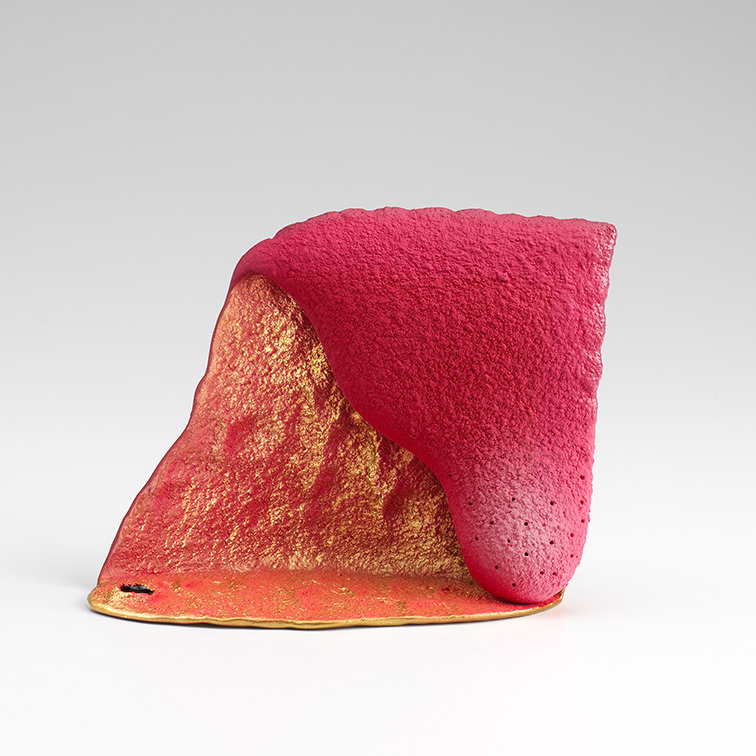 Nagle’s sculptures are made of ceramics, various plastics, and synthetic resin. 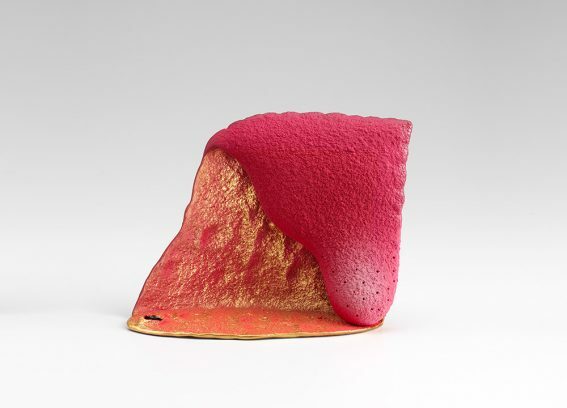 With near-fetishistic attention to the qualities of surfaces and colors, he carefully sequences series of glazes and uses other materials, such as auto paint, to produce intricate works that contrast high-luster finishes with the rough textures of unglazed elements. Although his works are three-dimensional objects, the artist thinks in planar images. 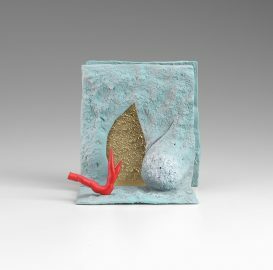 An object maker from an early age, Nagle received a BFA with a focus on ceramics from San Francisco Stage College in 1961 before apprenticing with Peter Voulkos at the University of California, Berkeley. Voulkos, whose widely acclaimed abstract expressionist ceramics bridged the divide between applied and fine art and helped establish this traditional craft as a medium of contemporary art, was a profound influence on Nagle. In addition to exhibiting internationally and teaching for six decades, Nagle is a musician and songwriter. He released Bad Rice, his first solo album, in 1971, and he also created sound effects for the film The Exorcist (1973). His love of wordplay is evident in his lyrics as well as the darkly humorous titles he gives to his works. 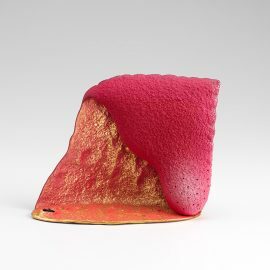 Ron Nagle was born in San Francisco in 1939 and lives and works in San Francisco.